Is photographing the Northern Lights on your bucket list? If not, it should be! For some, shooting the Northern Lights is a once in a lifetime opportunity. 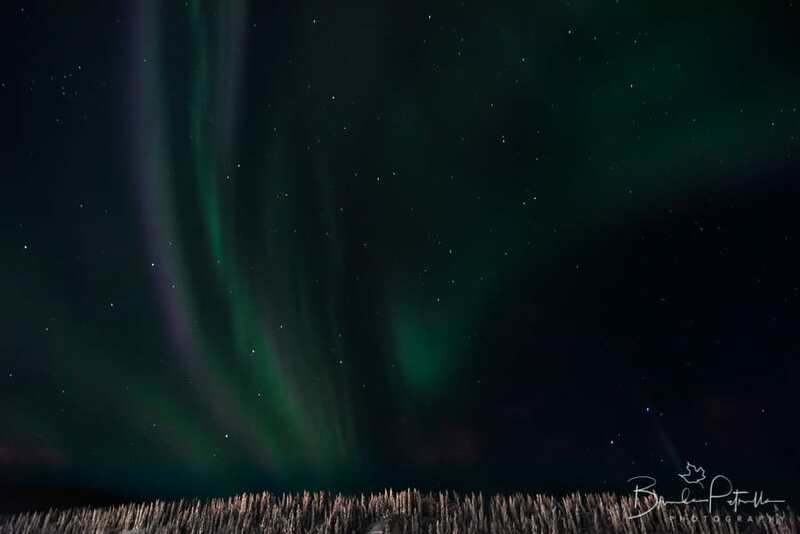 Here are some quick tips on how to plan for and shoot the Northern Lights and come home with phenomenal photos. 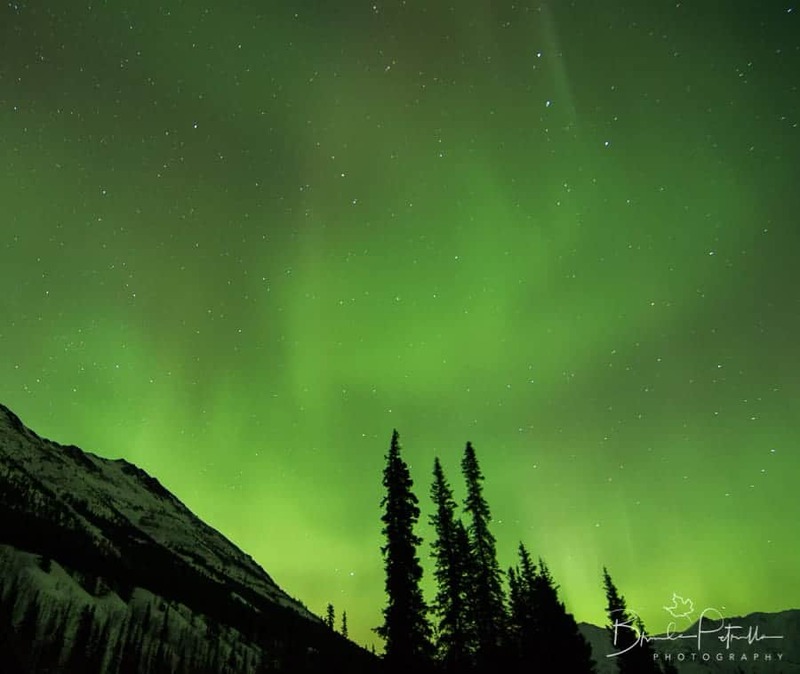 The best settings for capturing the northern lights are ISO 3200, f/2.8, and a shutter speed of 10 seconds. Be sure not to use too long of a shutter speed or you can miss out on the great “dancing” detail of the northern lights as it will get blurred out at longer shutter speeds. 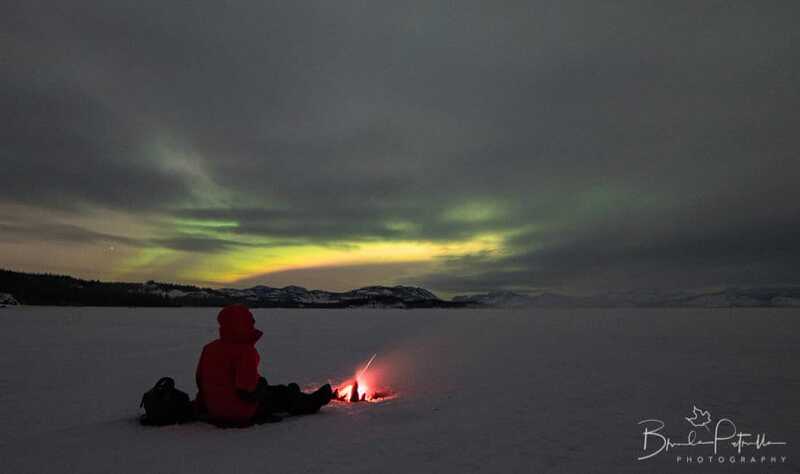 Enjoy the following tips on how to photograph the northern lights. Basically, the Northern Lights (officially known as the Aurora Borealis) and the Southern Lights (officially known as the Aurora Australis) are a bunch of electrons partying at the Earth’s magnetic poles. Charged particles from the Sun’s solar winds enter the Earth’s magnetosphere, thereby exciting and increasing the energy state of oxygen and nitrogen atoms located at our magnetic poles. 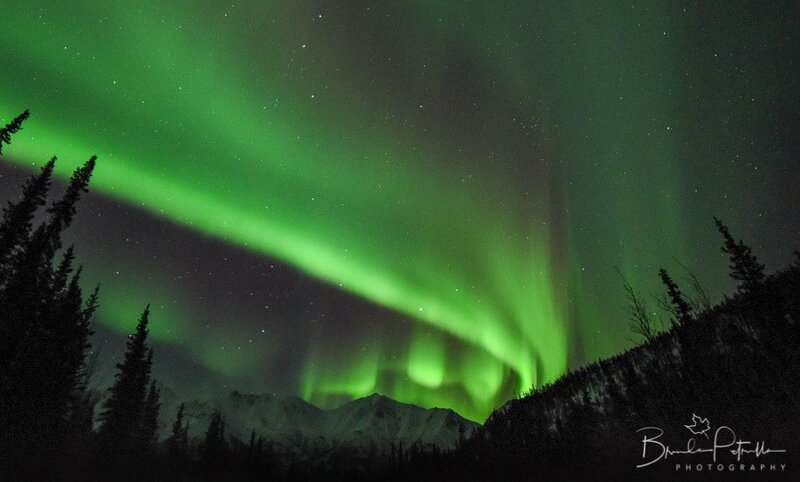 When these atoms return to their neutral and boring, less excited state, energy is released in the form of light, and we experience that little electron dance party (“it's electric!”) as a spectacular visual display known as the Aurora. Ok, great – but how do I know when the electrons are going to party, you ask? Well, thankfully, scientists are all over that and several tools exist to help predict aurora activity. 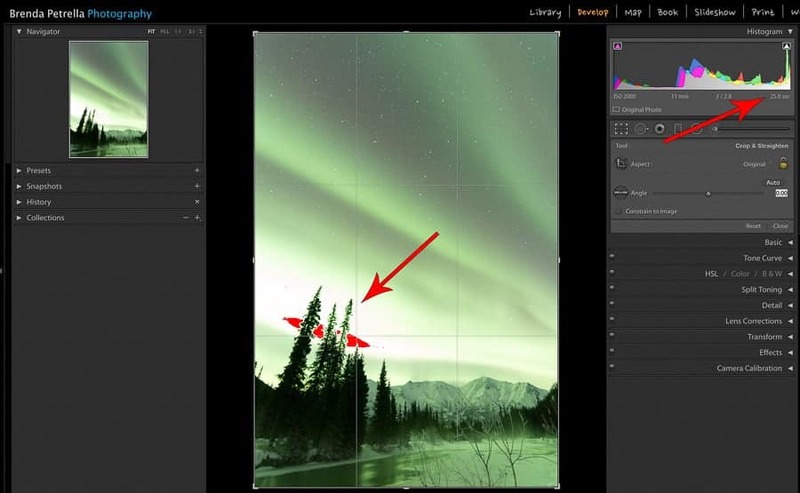 Here are some tips and tools for photographing the Aurora. Where are the northern lights located? The Aurora most commonly occur between 60-75 degrees latitude (north or south). Typical Aurora hot spots in the Northern Hemisphere include Alaska, northern Canada, Greenland, Iceland, Norway, Sweden, Finland, and Siberia. In the Southern Hemisphere, the Aurora Australis is typically viewable in Australia, New Zealand, Chile, and Antarctica. Major geomagnetic storms can cause the Aurora to move further away from the magnetic poles, although this is much less common. Note –because the Aurora result from solar particles affecting the Earth’s magnetosphere, the activity will actually follow “magnetic latitude”, which is slightly different than “geographic latitude”. 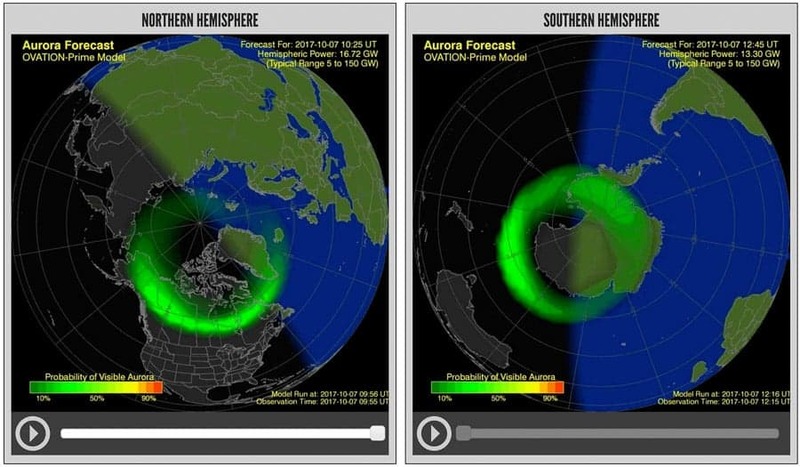 This is why Aurora forecast maps have wavy lines indicating activity rather than concentric lines following the geographic latitudes. When is it best to photograph the northern lights? 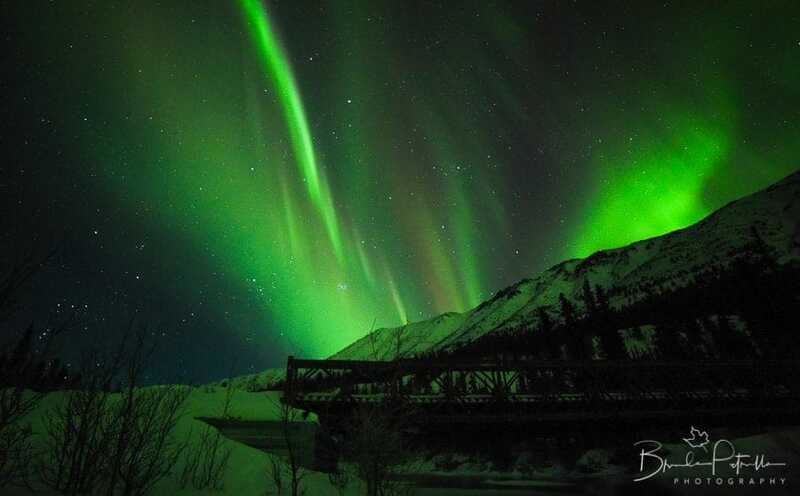 Naturally, the best opportunity to view and photograph the Aurora will be when the skies are dark, clear and moonless. The most activity tends to be between 11:00pm and 2:00am. Although the lights can be viewed in the early morning hours, it usually displays in more of a diffuse cloud-like, rather than ribbon-like, appearance. Contrary to popular belief, it does not need to be cold to view the Aurora; it just needs to be dark. Because the night sky is dark for a longer period of time during the winter months, the Aurora are more likely to be viewed in this season, so I’d recommend planning a winter trip to increase the probability of being able to photograph the lights. Why not plan a Northern Lights photography trip as a way to add a little light to your long, dark winter? Once on location, use your favorite weather app to check the forecast before heading out. I would plan on being out for at least 3-4 nights to increase the chances of viewing them in a given trip. If you have clear skies, then check the Aurora forecast. The first place I’d check for an Aurora forecast is NOAA’s Space Weather Prediction Center . Here you will be able to see the location and intensity of the Aurora over a 30-minute period based on the forecast of the planetary geomagnetic activity index, or Kp index. The Kp index is on a scale of 0-9, with 9 being the highest level of activity. A really good Kp index is in the 4-6 range; you are fairly likely to get a good show if the Kp index is in this range and if your location is in the middle of the oval path on the NOAA Aurora Forecast map. A Kp index of 5 or greater means “storm” levels of geophysical activity is expected, and you will likely see the amazing lights. You can also check a 3-day forecast of the Kp index to look for trends. Ideally, the camera body you choose should be able to be shot in manual mode. While a full-frame camera would typically give you better overall image quality and lower noise, I’ve successfully shot the lights on a crop sensor camera as well. I recommend a wide-angle lens of about 11mm-24mm (full frame). You want to be able to capture as much of the sky as possible because the Aurora can move really quickly. Be mindful that using a focal length less than 16mm may distort your foreground. The lens should also be a fast lens with an aperture of f/4.0 or less (f/1.4-2.8 is best). Using a tripod is a must! You will be taking long exposures (described below), and there is no way to handhold these shots. The steadier the tripod, the better. You don’t want any wind to rattle your camera and blur your image. Extra batteries are also a must! Be sure you have at least 2-3 charged batteries on hand. If you have one, use a camera grip to add power to your camera. When the lights are putting on a good show, it could last for hours, and you may be pushing the shutter every 5-10 seconds. Plus, you will most likely be shooting in the winter, and battery life is reduced at colder temperatures. It’s best to keep them in a pocket near your body heat. You don’t want to be left without power in the moment. 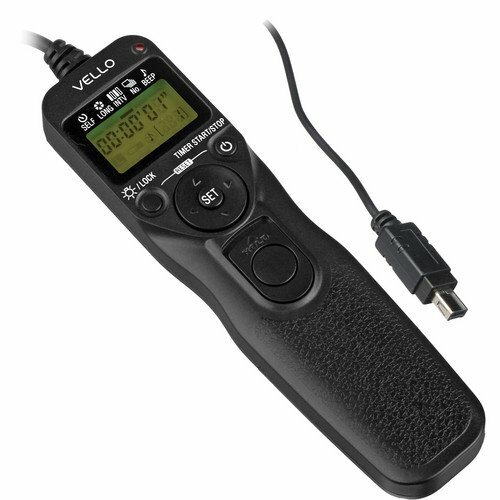 Speaking of hitting the shutter, it is best to get a remote shutter release for your camera to eliminate the potential for camera shake. Depending on your DSLR, you may be able to use an infrared remote to trigger your shutter, such as this one. Alternatively, you could invest in an intervolometer, which offers the ability to program time-lapse settings in addition to remotely triggering your camera. I use the Vello Shutterboss II. If you go this latter route, just be sure to pick the correct one for your camera. Lastly, I recommend using a headlamp. You will be shooting in the dark, after all, and having a hands free light source is a big plus. To help keep your night vision intact, I recommend getting a headlamp that can switch to red light, such as this Petzl. Before you don your headlamp, trek outside to your scouted location, and start waiting for the lights to appear, you are going to want to set the focus on your lens and use some gaffers tape to keep the focus ring from moving. You will be grossly disappointed if you don’t do this ahead of time. You don’t want to be fumbling with focusing in the dark when the Aurora are displaying like crazy above you. Luckily, it is a very easy and straightforward process, which you can read about in this Improve Photography article. Here are recommended settings to get the best northern lights photos. Note that you will have to adjust these settings according to the intensity of the lights on the night you are out and how much they dance in the sky. Start off at ISO 1600. You may need to increase it in order to keep your shutter at a fast speed to capture movement. Note that the more you increase the ISO, the more noise you may introduce into your photo, so use the lowest ISO you can to capture the image you want. How high you can push your ISO and maintain quality will depend on your camera, but typically ISO 64000 is considered high for night photography. Use an aperture of f/1.4-4.0. f/2.8 is pretty standard; note that if you use an f/4.0 lens, you will need to increase your ISO, which will increase the amount of noise in the photo. The wide open apertures allow for more light to hit the sensor and are typical of what is used for night sky photography. You can avoid any shallow depth of field issues by framing foreground elements that are 20-30 feet away. Be ready to adjust your shutter speed. Shutter speed is going to depend on how fast the Aurora are moving, and they can really vary! Typically, if the lights are really active, your shutter speed will be around 2-5 seconds. If they are somewhat active, 5-15 seconds would suffice. If they are really diffuse and low in intensity, you can use longer shutter speeds up to about 25 seconds, but this could make any distinct patterns of movement undetectable in the photo. Consider using this time to do something creative with foreground elements. Mistake #1 – Overexposing your shot. When the Aurora are really intense, it is easy to overexpose your shot. One way to avoid this is to check your luminance histogram on your LCD display. Make sure that the highlights are not pinging off the right hand side of the histogram. Because the Aurora are typically green in color, it is also helpful to look at the RGB histogram to make sure that the green channel isn’t being overexposed. It’s better to err on the side of underexposing your image because the dark areas can be more easily opened up in post-processing. Adjust your ISO and shutter speed accordingly. Avoid overexposing the highlights and green channel by using a lower ISO and shorter shutter speed. Mistake #2 – Not adjusting shutter speed to best capture the Aurora activity. 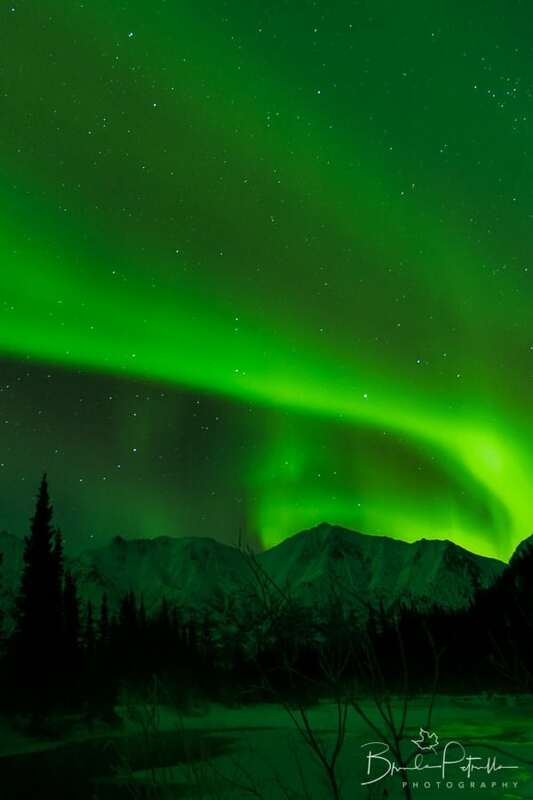 You may have the exposure of the northern lights totally dialed in, but why does it look like a blob on your LCD display and not like the beautiful ribbons of color in the sky? Try going to a shorter shutter speed and adjusting the ISO up to compensate for the exposure. Shutter speeds that are too long for the activity of the Aurora will result in diffuse photos like these with less definition. Nikon D5500, 11mm f/2.8, 15 sec., ISO 2000. (c) Brenda Petrella Photography. Mistake #3 – Shooting in areas of light pollution. Another way to ensure you will not ruin your Aurora photos is to avoid areas of light pollution. You can plan ahead and search for dark areas using the Dark Site Finder. If you are unable to get away from light pollution, use it as an opportunity to light up something interesting in the foreground. Don’t forget that another source of light pollution is the moon! If you want to optimize the brightness of the Aurora in your photos, I would aim to shoot on moonless nights. The moon could easily wash out the brilliance of the Northern Lights, especially the more subtle purples and reds that can occur. That said, don’t fret too much if you can’t avoid the moon; it could provide a really cool effect on lighting up the foreground in a Northern Lights shot. Some great tools for determining when the moon rises and sets for your favorite location are Photopills ($9.99 available for iOS and Android) and the Photographer’s Ephemeris ($8.99 available for iOS and Android). Find your location during the day. If you aren’t going with a Northern Lights tour group (of which there are many), then scout out your location(s) during the day. It will be much easier to frame up your foreground with the sky during daylight. The Northern Lights will display in the northern sky. Bring snacks and a hot beverage. You may be out in the cold for hours. Be sure to stay hydrated and fed! Mix it up. 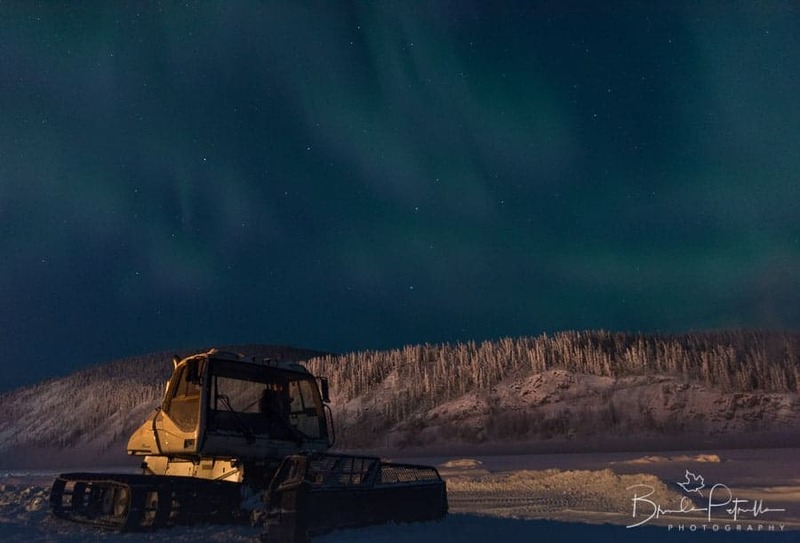 Consider shooting a time-lapse of the Northern Lights on a second camera body pointing at a different foreground while you fire the trigger on your first camera body. Refer to this recent Improve Photography article on shooting time-lapse photography. Planning isn’t perfect. Even with all of the tips and tricks in this article, luck has a lot to do with it! Make the most of it, even if it's a little cloudy! Have fun! Last but not least, step away from your camera and just enjoy the amazing mind-blowing display. For some people, experiencing the Northern (or Southern) Lights may be a once in a lifetime opportunity. There are few natural wonders quite like it.